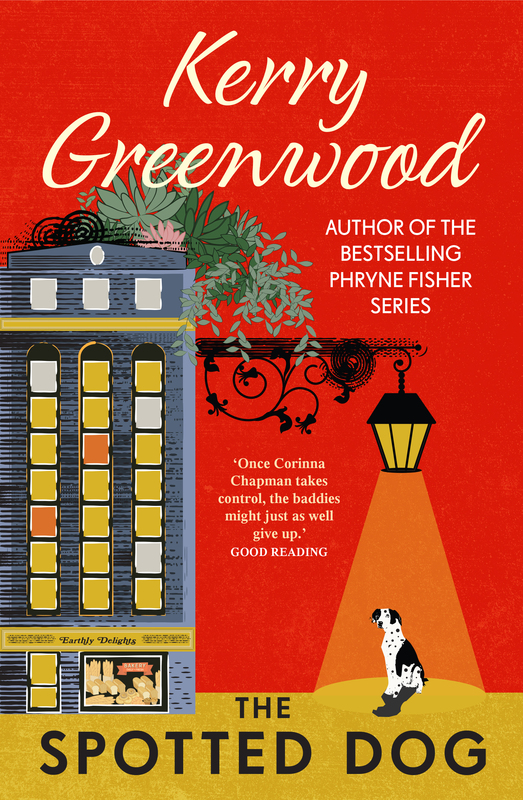 Intrepid baker and erstwhile investigator Corinna Chapman returns triumphantly in her first adventure in seven years. 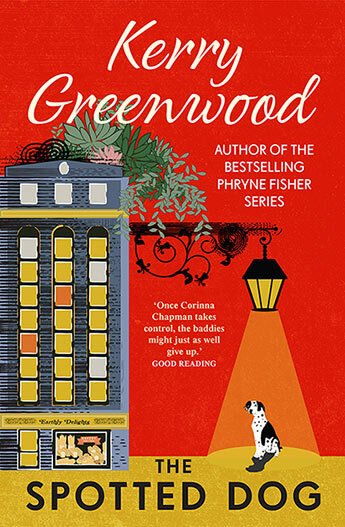 Kerry Greenwood is the creator of the bestselling, beloved contemporary crime series featuring the talented Corinna Chapman, baker and sleuth extraordinaire. There are currently six previous novels in this series with The Spotted Dog as Corinna's most recent adventure. Kerry's much-loved 1920s crime series, featuring the marvellous Miss Phryne Fisher in twenty novels, has been developed for television and screened on ABC TV in Australia. The series is sold in print in the UK and US as is the television series. Kerry Greenwood is also the acclaimed author of several books for young adults, the Delphic Women series and is the editor of two collections. She has been longlisted, shortlisted and is a winner of the Scarlet Stiletto, Davitt and the Ned Kelly awards. Kerry is also the recipient of the Ned Kelly Lifetime Achievement Award, 2003 and the Sisters in Crime Lifetime Achievement Award, 2013.